Graffiti and fine artist Alecks Cruz seamlessly brings the streets to the gallery through his three-dimensional graffiti letters sculptures, all meticulously handcrafted out of cardboard. Artist Carlos Cruz-Diez‘s “Chromosaturation” installation at the Supersensorial: Experiments in Light, Colour and Space exhibition at Hirshhorn is a terrific light installation that truly surrounds the viewer and immerses them in the colour and display environment. 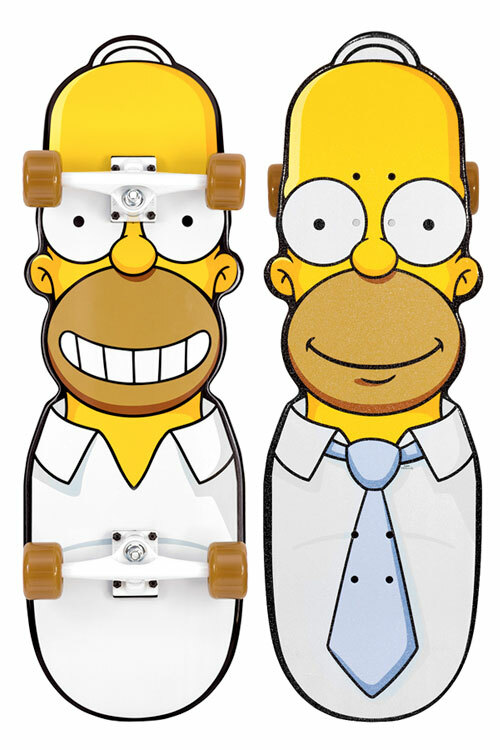 For their 500th episode The Simpsons did a board with Santa Cruz and they’re mighty fine.